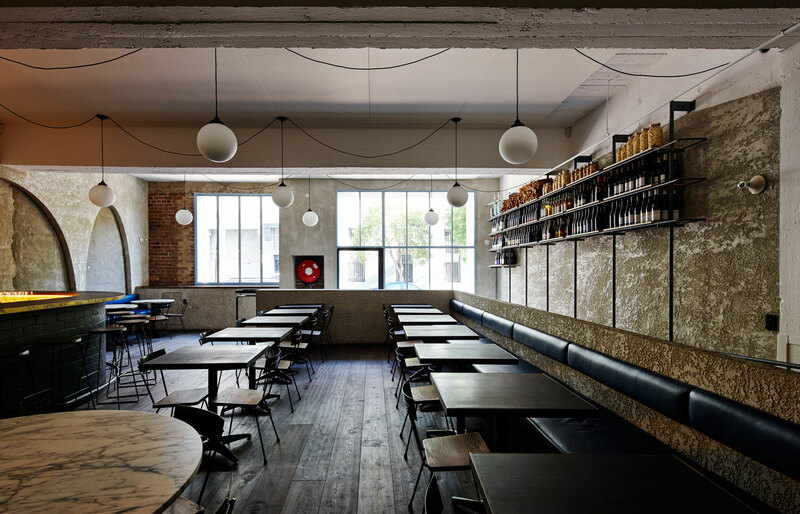 Ester Restaurant & Bar by Anthony Gill Architects | Yellowtrace. 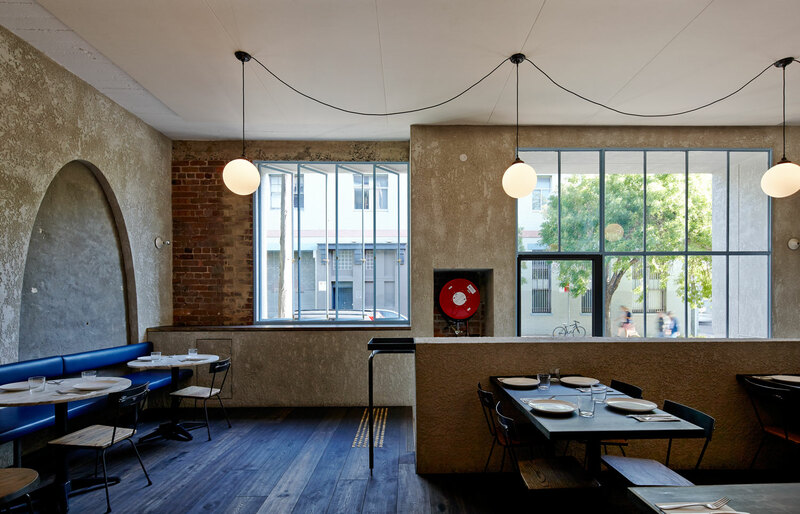 Ester Restaurant & Bar by Anthony Gill Architects // Sydney. 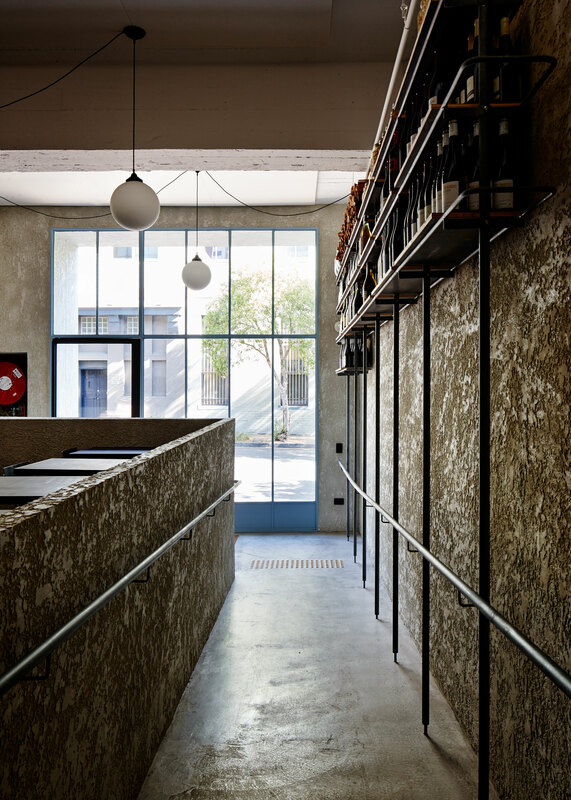 Ester Restaurant & Bar is located in a former loading dock of a two storey warehouse in Sydney’s Chippendale. 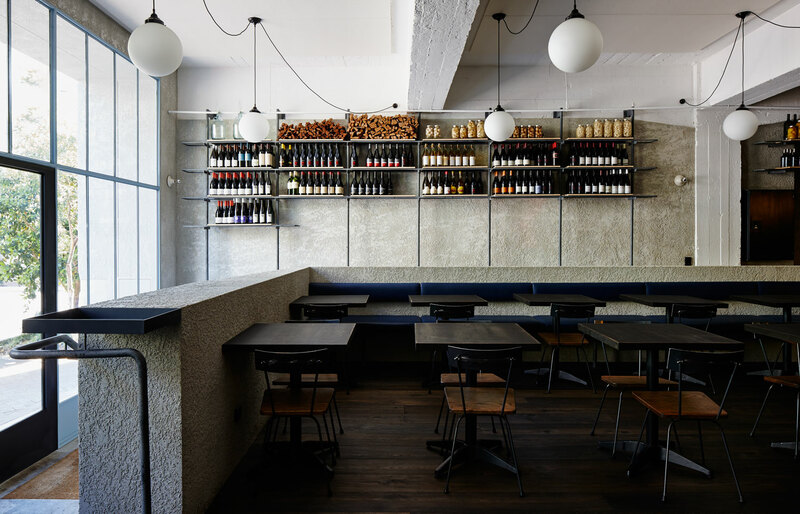 Masterfully transformed by Anthony Gill Architects, this deceivingly simple interior pays respect to it’s semi-industrial context, resulting in a contemporary dining hot-spot with a robust and sophisticated feel. 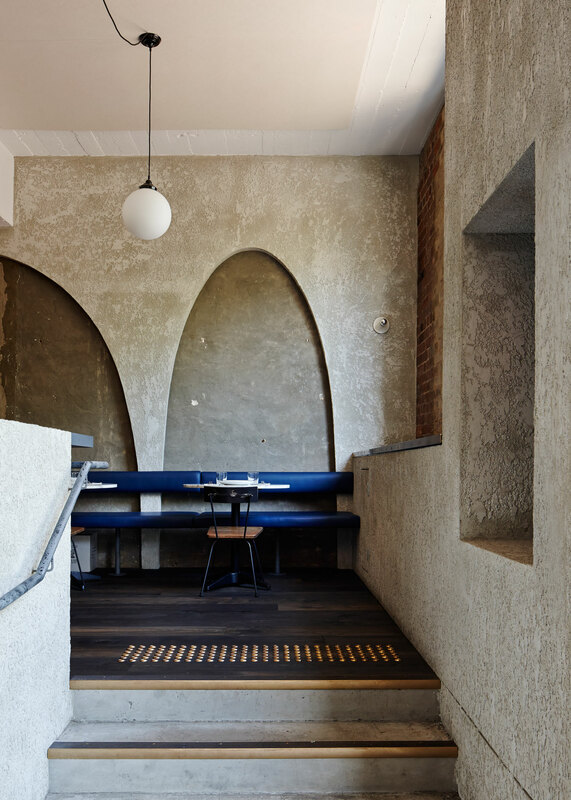 The project involved a total re-imagining of the space to create a restaurant that sat comfortably on the edge of the city. 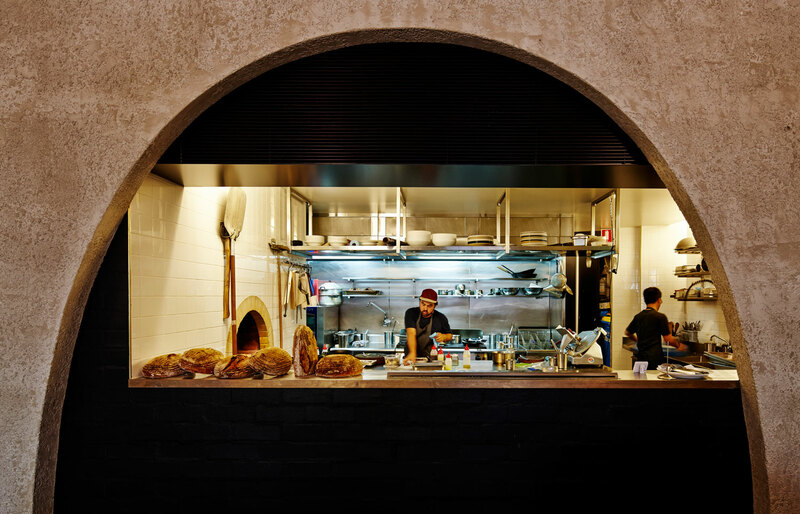 The client had specific demands for the operation, centred around the wood fired oven. The needs of the kitchen were delicately balanced with the desires for the dining room, making sure the proportions of the overall space were right. 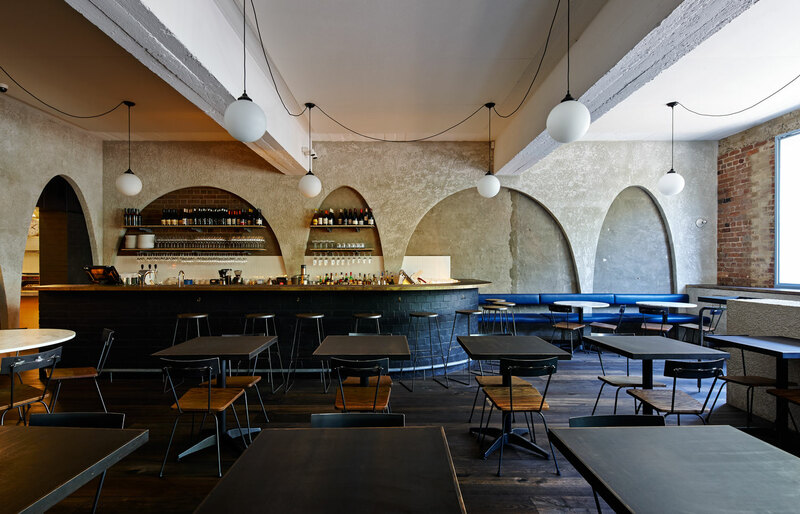 The clearly defined segregation of the restaurant and the bar were brought together through the introduction of parabolic arches, creating a new layer which unites the old and the new, and separating the served from the serviced. Read on for our Q&A with Anthony Gill for inside information about this fantastic project. We really just wanted to create a great room for dining within this old loading dock and garage in Chippendale. The need for an accessible ramp allowed us to push most of the tables and chairs into the centre of the room. The bar on the other side does the same thing. 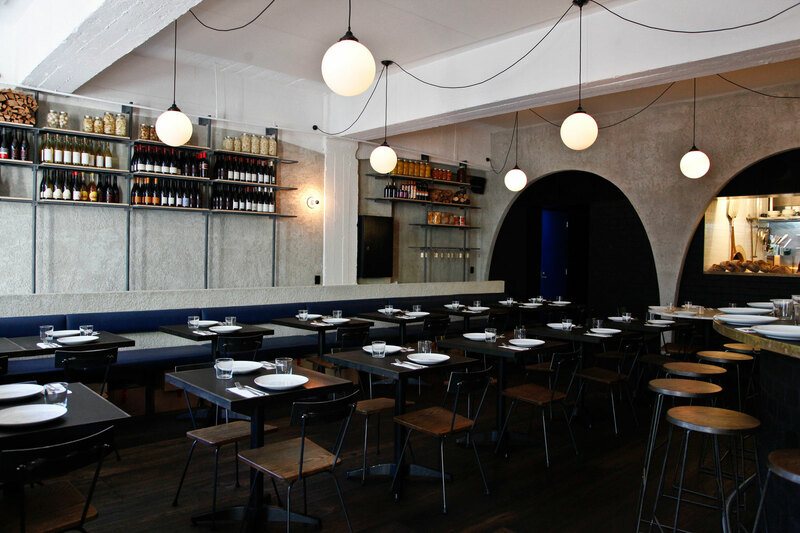 This gives the interior a slightly more traditional dining feel and is essential to the success of the space. 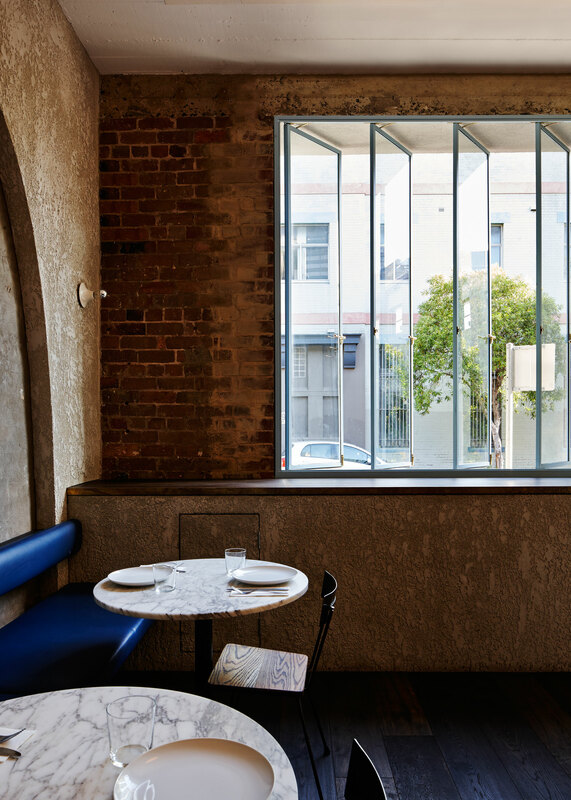 The restaurant needed to sit comfortably in this emerging inner city suburb, in other words – it couldn’t be too polished. Going for dinner because the food is so good. It is always nice to be working with a client who does things well. The client in this instance is Mat Lindsay and he is quite an extraordinary chef. 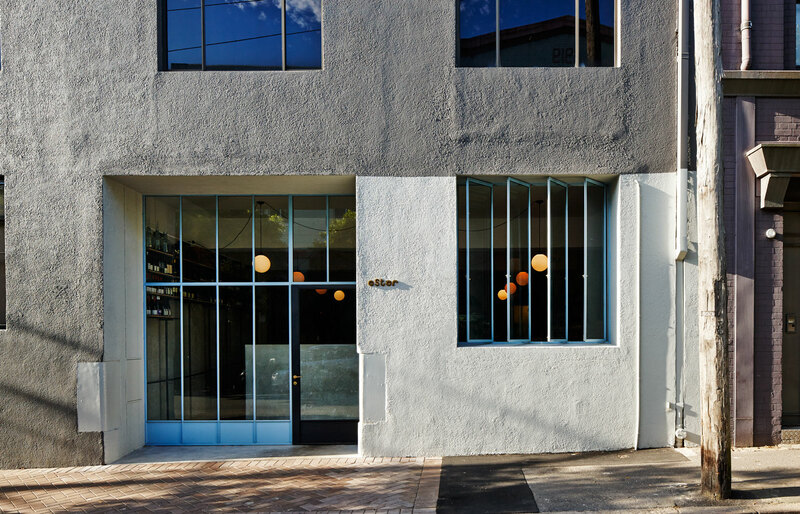 So the experience of the space drops into the background and the focus is the food, which is how it should be. Budget is always a challenge, also the softening of the junction between the old and the new. We never want to play up this difference and prefer the idea of trying to unify the space and create a new whole. 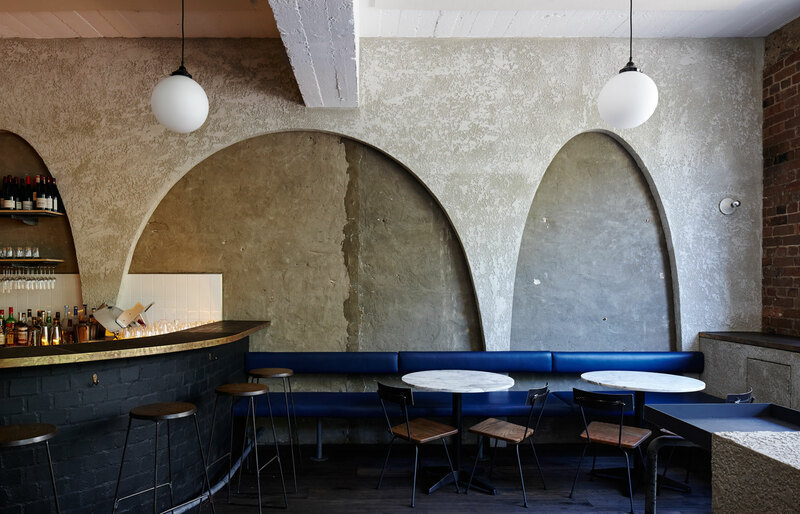 Strangely, we achieved this with the slightly odd arches that run through the space, which we used to hide existing structure and provide a new rhythm. Wood fired ovens are worth the trouble. We tend to work through a great many options in the initial stages, so by the time we get on site we are sure of our planning decisions. The ambience of the space – final selection of materials, furniture and lighting – is what we tend to second guess ourselves on. In this case, we solved the lighting very late into the build. Our original concept was too expensive and, on reflection, would have drawn too much attention. We were forced to re-think and ended up with this very simple grid of hanging pendants which help define the space and set the feel of the restaurant. So, I wish we had worked that out earlier so the final few weeks weren’t so stressful. We sealed the render rather than painting it because the natural finish has so much more depth than a paint finish. This is proving to be a bit of a maintenance problem but the staff are working out ways to clean red wine off the walls – with vinegar! Microgarden Indoor Growing Kit by Tomorrow Machine & INFARM. Rabari Rug Collection by Doshi Levien for Nanimarquina. It looks beautiful, stylish, appealing.